Ubuntu is moving in all directions lately. They are making sure that they find themselves on tablets, smartphones, and even on televisions. With the high amount of efforts being put in to make Ubuntu the best product in the FOSS community, there have been some polarizing decisions that have managed to alienate a few longtime Ubuntu users. Ever since the decision to switch to Unity was taken, there have been many Linux users who don't find Ubuntu as user-friendly as they used to back then. There have been forum wars, IRC battles, and a bunch of irksome blog posts about usability--or lack thereof-- of Ubuntu. However, as time progressed, Ubuntu has matured quite a lot and has managed to regain its top spot as one of the most user-friendly distributions in the FOSS world. Having said that, Ubuntu isn't the only user-friendly distribution around. There are many distros like Fedora and openSUSE that cater specially to end-users. One of the best distros to target this user base is Linux Mint. Mint has managed to achieve widespread popularity despite not being backed by any big company. Moreover, many Linuxians consider Mint to be a better option when compared to Ubuntu. So, what it is that's so special about Mint that manages to attract so many users? If you're thinking about the question whilst staring at your Ubuntu desktop, here are a few reasons why you should switch to or at least try out Linux Mint. 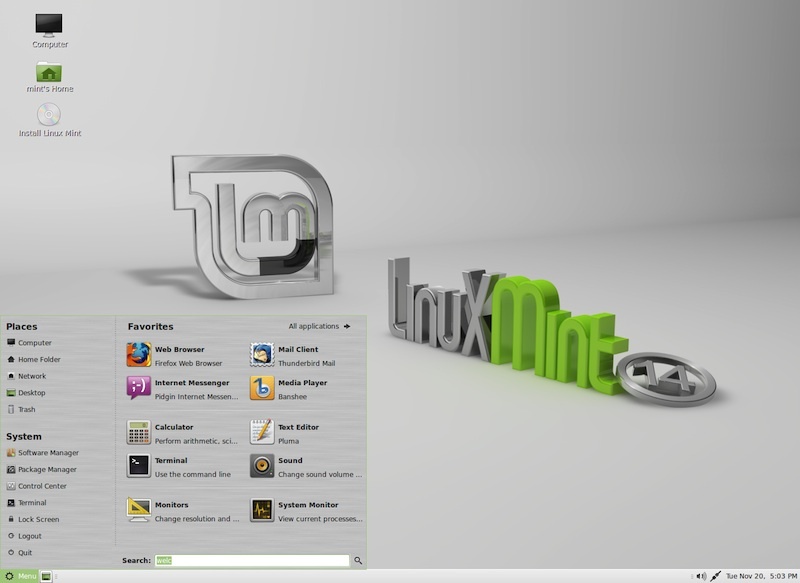 Linux Mint offers two desktops: MATE and Cinnamon. This makes sure that the users have as many choices as possible. As opposed to Ubuntu, which enforces a completely modern desktop to every user, Mint actually gives you the choice of going with either a modern desktop or a more traditional desktop. 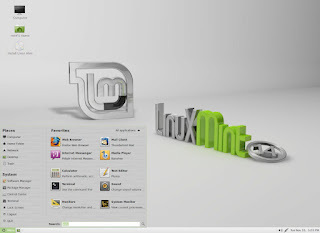 Linux Mint offers a default desktop interface that puts users very much at home. Keeping in mind that many of the Mint users are migrating from other operating systems, Mint keeps a user interface that is simple, fast, and elegant. Ubuntu users won't encounter many difficulties switching to the default Mint desktop. Linux Mint, being based on Ubuntu offers all of the Ubuntu goodness, that too in a nice, fresh, and user-friendly package. Ubuntu's popularity encourages a lot of application developers. If, let's say you were to download an application like Steam or Dropbox for Ubuntu, you can easily install it without any compatibility issues. The same, however, cannot be done on any other distribution. Linux Mint's artwork is something that is admired by many users. Not only does Mint provide a fresh set of wallpapers, it also provides excellent themes that make the desktop look stunning. One of the best things about Mint is that overall; you'll find that the desktop isn't too flashy or overdone. The design is quite simple yet attractive. As compared to Ubuntu, you'll find that Linux Mint is quite customizable. You can download themes and even create your own themes. Apart from themes, Mint also lets you change the position and the size of the panels. Though Mint has a desktop that sticks to the traditional paradigms of the desktop, it is still backed by some of the latest features. The desktop itself is built with GNOME 3 putting it at par with other modern desktop. Both GNOME 3 and Ubuntu are desktops that focus heavily on the desktop-mobile convergence. Even though they are elegantly designed, Ubuntu and GNOME 3 have managed to draw away many users who believe that a desktop should look like a desktop and nothing else. Mint has ensured that it doesn't alienate these users and provides them with a desktop that is not mobile oriented. Linux Mint comes pre-installed with all the latest applications. You'll find Firefox, Thunderbird, and yes, the latest kernel in every release. Moreover, you'll also find that Mint can play MP3s and other restricted formats right out of the box. This makes it a complete desktop operating system. I think i'll stick with ubuntu , thank You very much. Really, are we doing this again? I've been using Ubuntu since 5.04. Switched to Mint 14 w/ Cinnamon. Use it on dEsktop, laptop and netbook. It does it all. Interestingly, I have read many reviews touting the advantages of Mint over Ubuntu but rarely, HUD is mentioned! I personally feel HUD is something all DEs should incorporate. I really like Linux Mint. The main reason being that Unity gets in my way. Mint allows me to work the way I want to. No wonder that it has remained at the top on Distrowatch. Unity looks and behaves like Windows 8 TIFKAM. All the advantages of Ubuntu without the crazy mobile phone interface that is Unity. Wow! It plays .mp3s! That sums it up as a complete operating system!